A stunning 7 carat Natural Pearl. White and round with top luster is seldom seen in nature. Your pearl will be healthiest if you do not wear it while applying makeup, perfume, or hair products. Be sure to take off your pearl before you apply hand or body creams. You can quickly clean your pearl by wiping it with a soft, lint-free cloth. The cloth can be dampened with water or it can be dry. If damp, allow the pearl to air dry before putting it away. Dirty pearls can be cleaned with a mild soap and water solution. Water should be room-temperature to warm but never hot. 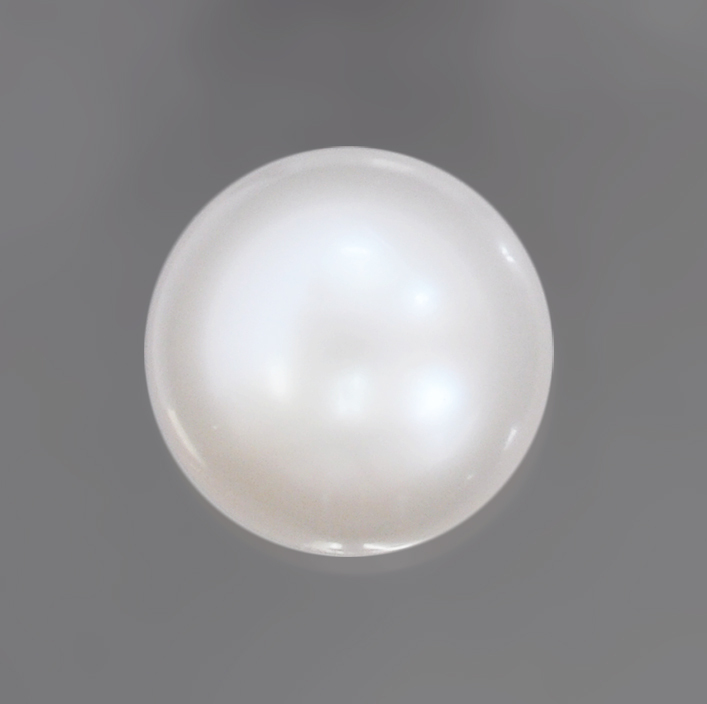 Never clean your pearl with solutions that contain ammonia or harsh detergents. Don’t put pearl jewelry in an ultrasonic cleaner. Don’t use abrasive cleaners or rub pearls with abrasive cloth. Both can wear away the nacre coating. 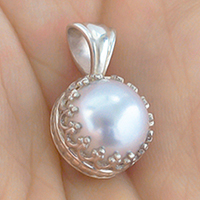 Don’t store your pearl with other jewelry, because it can be scratched easily when metal or gemstones rub against it. We recommend you find a special slot in your jewelry box away from other objects, or, better yet, keep it in a soft bag made from chamois or another non-abrasive material whenever you are not wearing it. Thanks! Lots of great information and love the gorgeous photos of the pearls. Previous Post Gemstones are amazing.